Today, Azerbaijan is a member of space satellite club with three satellites, long-term space industry development programs and infrastructure and strengthens its position in the global space industry market. 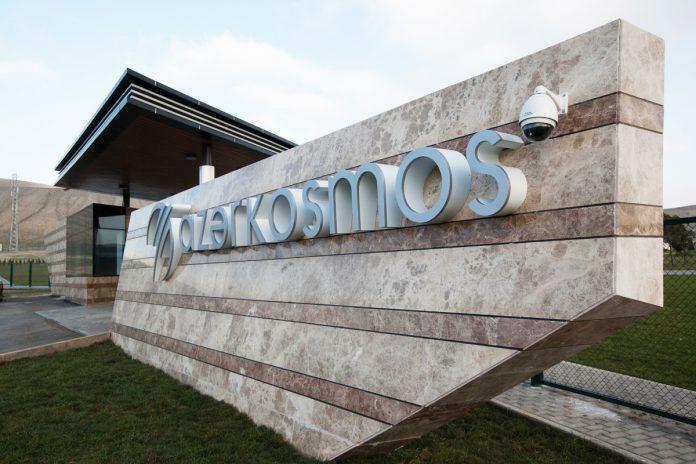 The revenues of Azerbaijan’s Azercosmos OJSC from the export of satellite and telecommunication services amounted to $25.6 million in 2018. The company’s revenues from the exports increased by 12 percent compared to 2017 and accounted for 87 percent of the company’s total income. Azercosmos provided 24 countries with its services. The bulk of the services accounted for France ($11.8 million), Malaysia ($8.4 million), the UAE ($1.5 million), Germany ($941,000) and Georgia ($537,000). So, regarding the recent statistics, it should be noted that Azercosmos OJSC exported satellite telecommunication services cost $ 2 million to 15 countries of the world within January and February of this year. This is stated in Export Survey of the Center for the Analysis of Economic Reforms and Communications, Report informs on April 1. The cost of exporting services of Azercosmos to 14 countries amounted to $ 952,000 in February 2019. Over the two months of this year, the organization exported services primarily to France, the United Arab Emirates, Germany, Nigeria, and Georgia. “Azercosmos” is the only satellite operator in Caucasus established on May 3, 2010, and fully owned by the government of Azerbaijan Republic. Having launched the Azerspace-1, the first-ever satellite of Azerbaijan, on February 8th 2013, the company provides highly reliable, satellite-based communication services to enterprise and government customers for DTH, voice, video, data and mobility applications. With the advanced design and flexible switching capabilities of the Azerspace-1 telecommunication satellite, millions of viewers are able to get an access to information and communications services worldwide. Azerspace-1 plays a role as an important gateway in a joint space that connects more than 50 countries in Central Asia, Europe, Africa and Middle East. In December 2014, Azercosmos took over the rights to operate and commercialize Azersky, high resolution (1.5m imagery products) optical Earth observation satellite, and entered into the commercial business of Earth observation services, including geo-Information services. With its high-skilled personnel and advanced technical capacity, “Azercosmos” has succeeded in becoming one of the driving forces of the ICT sector both in the country and region during the short period since its inception. Its resources allow the company to be well-equipped and hence handle emerging technologies along with creating an added value for the population that is beyond the reach of the terrestrial networks in benefiting from the satellite-based services. Strategic development plans of the company include enhancing the coverage area and spectrum of services. For this purpose, on 25 September 2018, Azercosmos launched its second telecommunications satellite Azerspace-2 in a geostationary orbit 45° East longitude. Azerspace-2 satellite worth $ 190 million is expected to bring $ 400 million in revenue to the country’s economy.